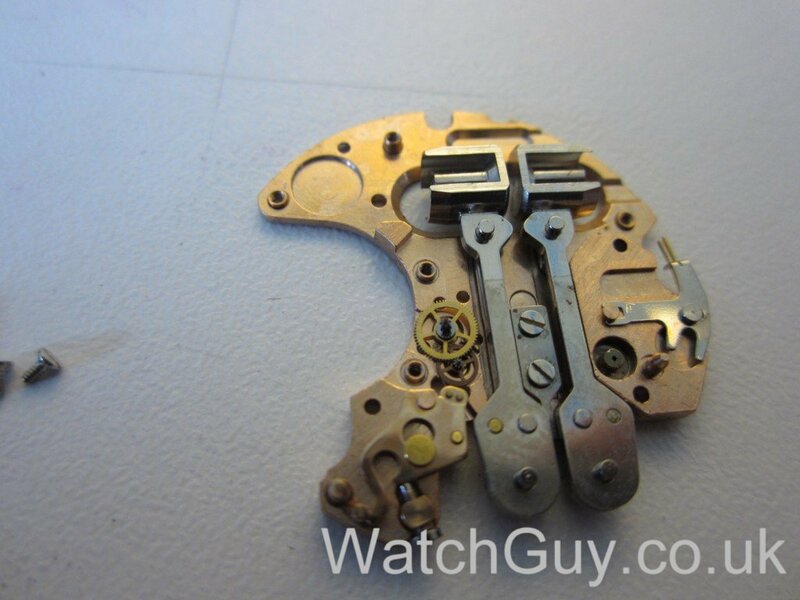 Not only Bulova built tuning fork watches. 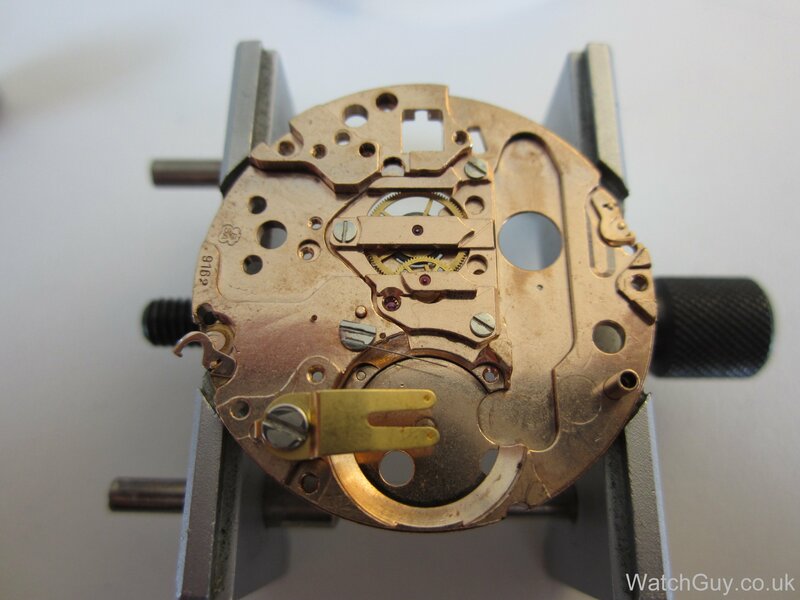 The Swiss movement manufacturer ESA also made a tuning fork movement under licence from Bulova. Amongst others, Omega used this movement in their Omega Electronic Geneve Chronometers. 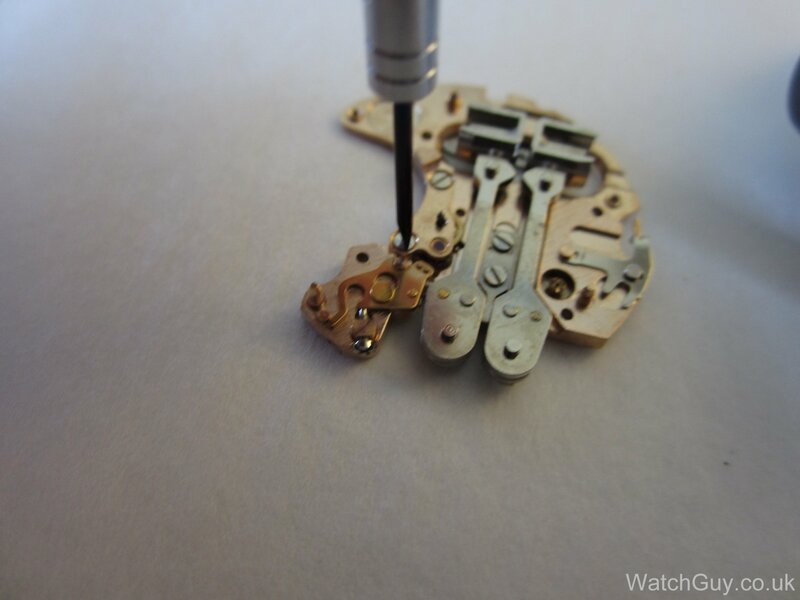 A first look clearly shows the two coils that keep the tuning fork humming. The bottom plate is fairly standard. 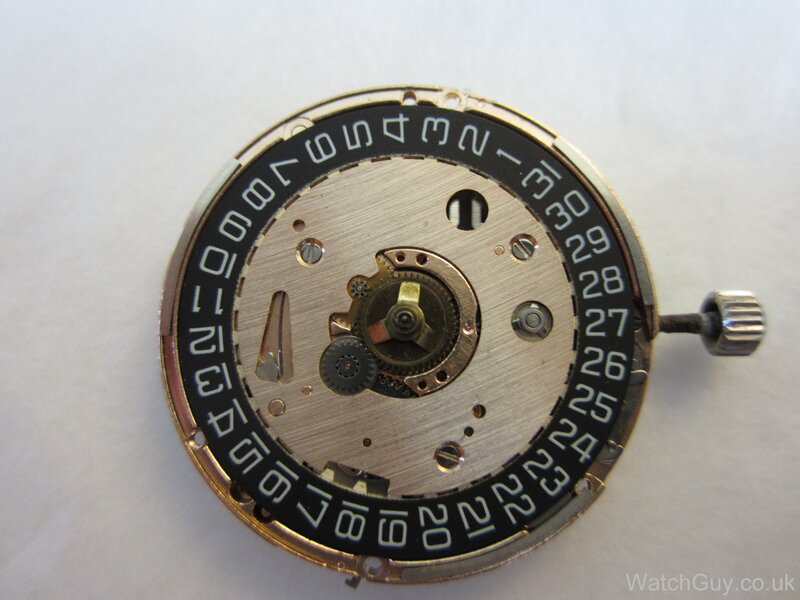 The bridge has the tuning fork attached to it, and the index and pawl fingers, and of course the index wheel that is driven by the index finger. Overall, I prefer the ESA construction over the Bulova one, as it’s easier to work on, and the pawl finger position is easier to adjust. With the little bridge removed, you can now clearly see the index wheel (the smaller of the two wheels in the centre). 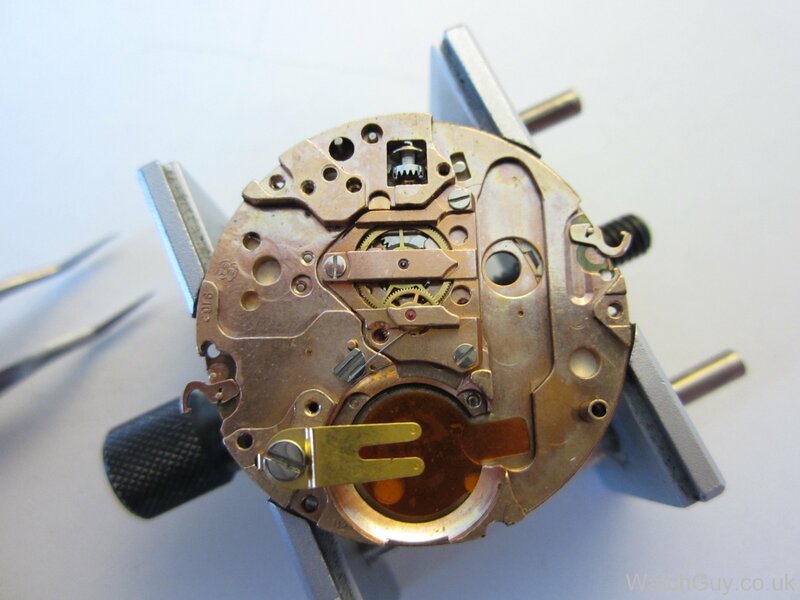 The top plate is an easy enough construction, with the second hand arbor having a spring pressing against a plastic ring to make the movement of the hand smoother and to prevent vibration. 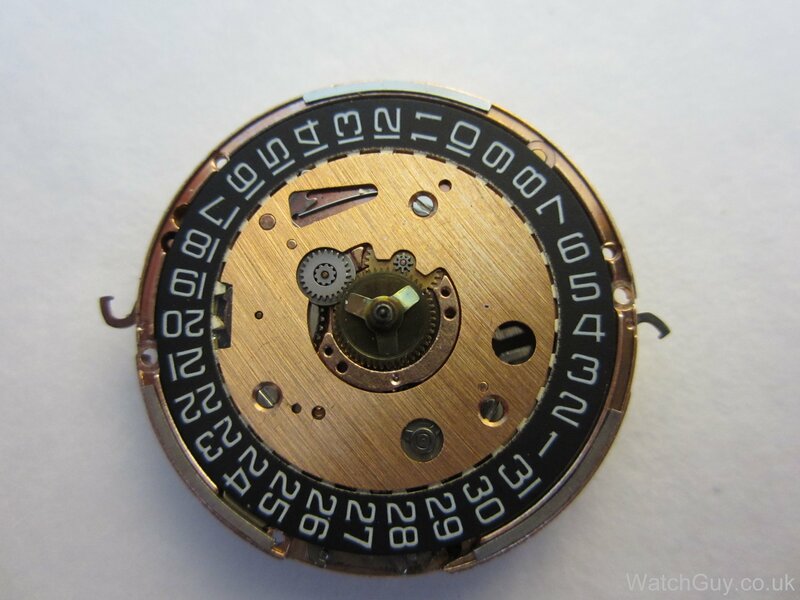 With the little bridge removed, you can see the plastic ring, and the wheel above that contains the clutch so that you can set the time without turning the index wheel. Now it’s time for the bottom plate. The electronics are kept away from the cleaning machine. Reassembly starts with the top plate. Now the index wheel and bridge are mounted. Then the coils and circuit go in. Now the tuning fork bridge is mounted on the top plate, and, after putting the battery in, I can adjust the index and pawl finger position. Finally, I put the bottom plate back together. 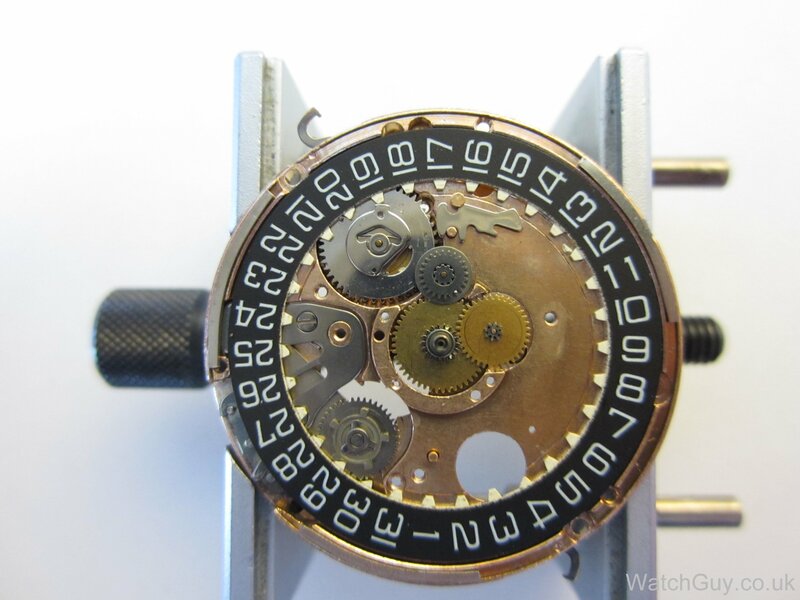 With the dial and hands back on, I case the movement, and the watch is humming happily again. Oi . 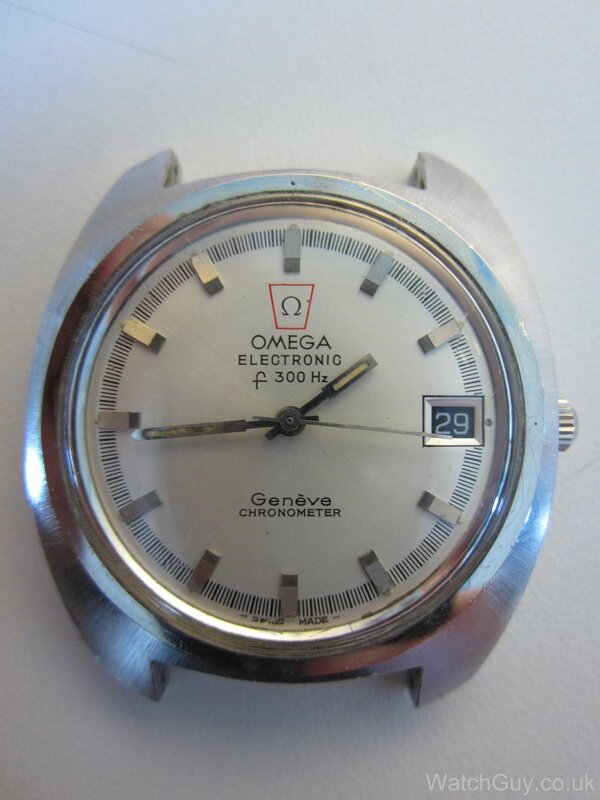 Vejo que este Omega esta com uma Bateria Renata 390 ? O original seria 343 com mercúrio que não se fabrica mais , o substituto seria Renata 344 de óxido de prata . Então a 390 também seria um substituto aceito ? I am afraid I don’t. Std ETA size hands will fit–ESA became/took over/combined to form ETA. 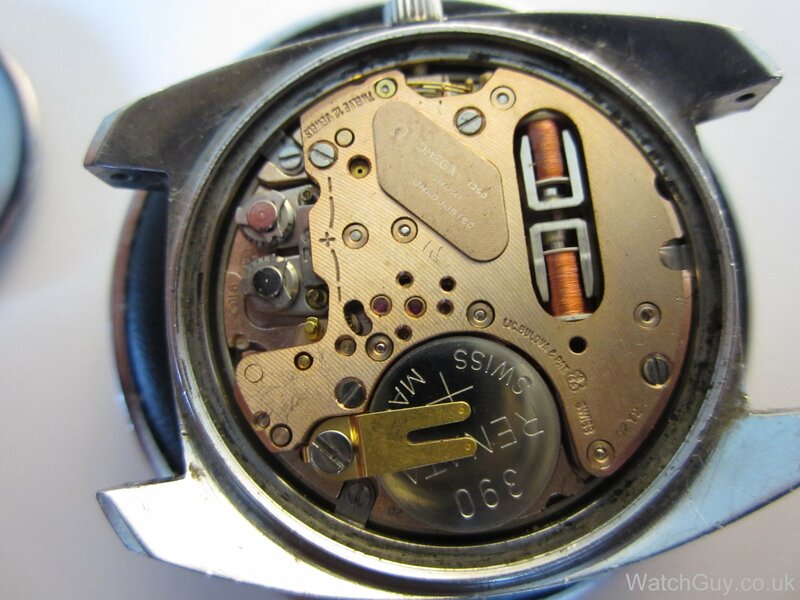 who themselves taken over/owned by Swatch…. Hole Sizes, 1.5 hour, 0.9 minutes, 0.25 seconds. 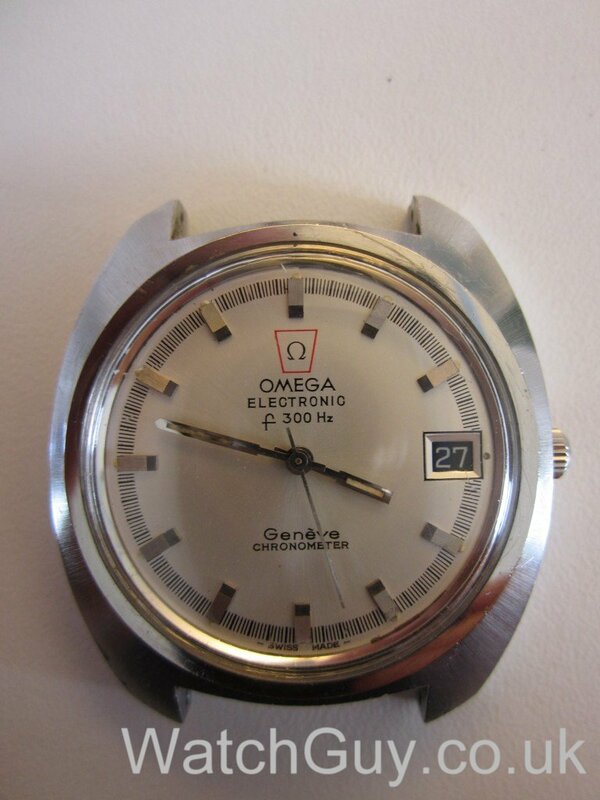 Hi Looking for a turning fork for my omega for repair, where can i buy one ? eBay is a good source of parts, or complete donor movements. As pointed out by Christian these are better left to a competent watchmaker who has experience and knowledge into these little marvels! Way too many have been damaged by incompetence! 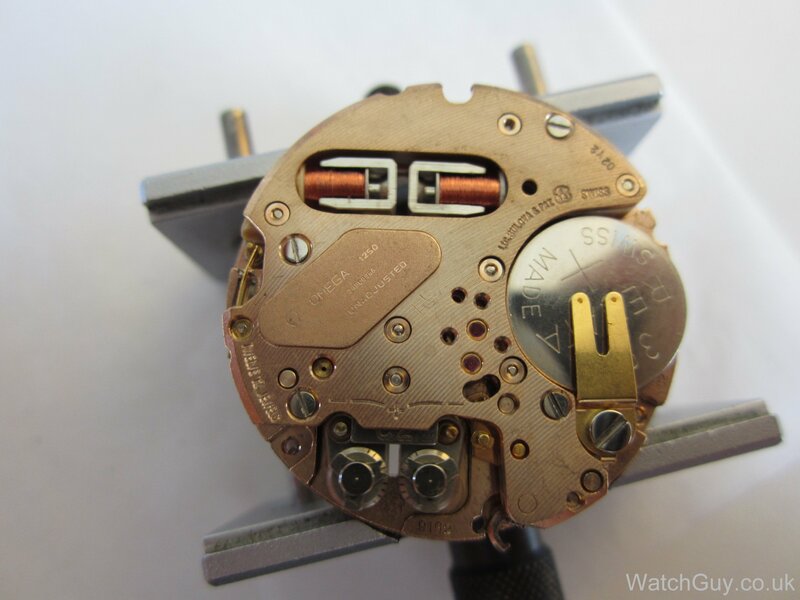 Do you know of a source for replacement coils? More or less any MOSABA movement will do. Titus tuning fork watches are good as part donors since the lack of brand name does lift the prices. You can also use Certina, Eterna, Iwc or Longines, to name a few others. Great post and very informative, I didn’t know you could handle these ESa movements! 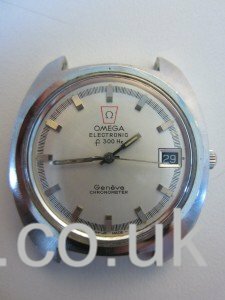 I have an Omega F300 Seamaster in a ‘cone’ case which has been recently serviced in the UK. 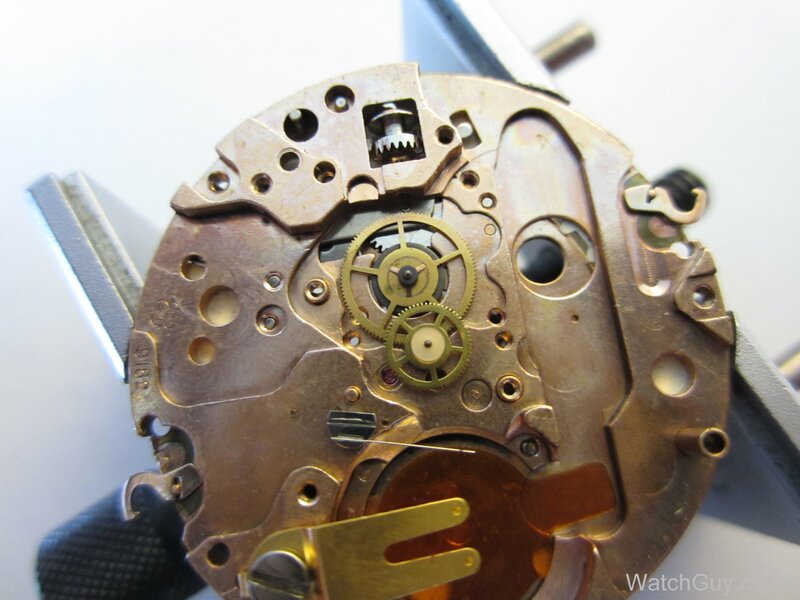 However, it has gained time on two separate occssions, once just before it was serviced and the last time just after it was posted back to me. 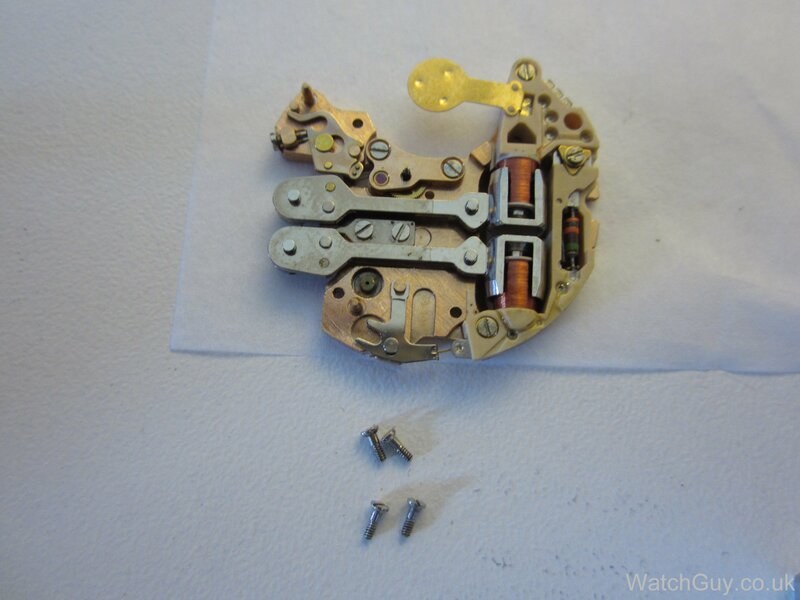 Is there a possibility that the index and pawl finger position is either not being not correctly adjusted so that it will be able to withstand the normal knocks and bumps of daily wearing without it gaining bursts or is the issue that the index mechanism is moving or slipping during transit in the post? Is this type of movement more susceptible to knocks in general? Tuning fork watches are quite sensitive to knocks. 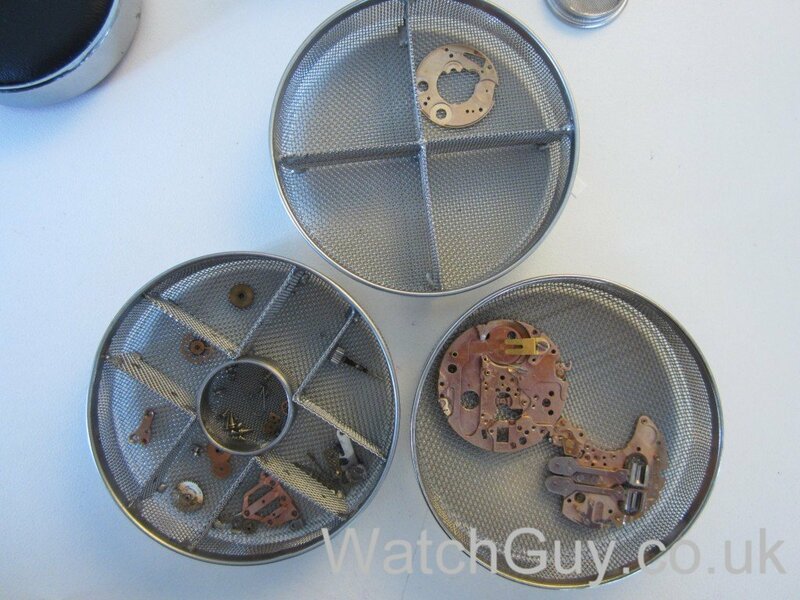 If I cut the hedge wearing my Accutron, it will gain 10 seconds or so during the process. 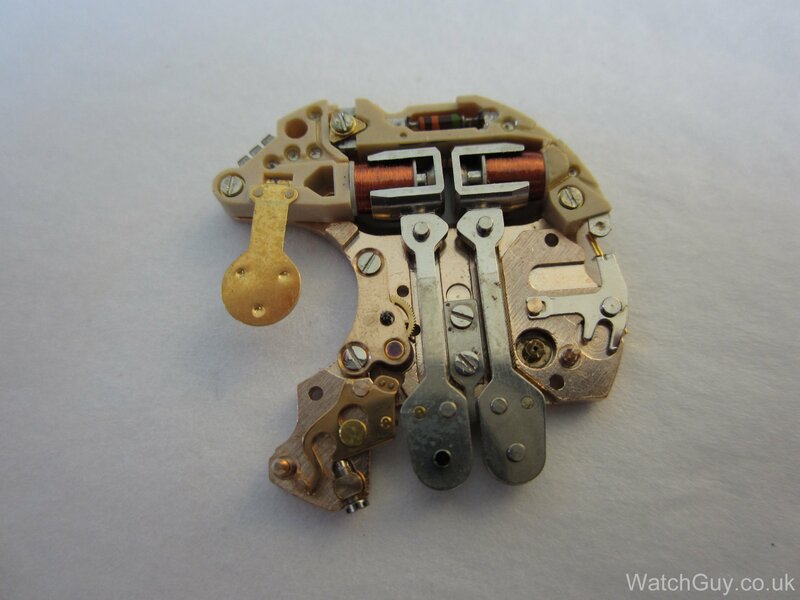 I luv everything about the watch apart from the battery! !